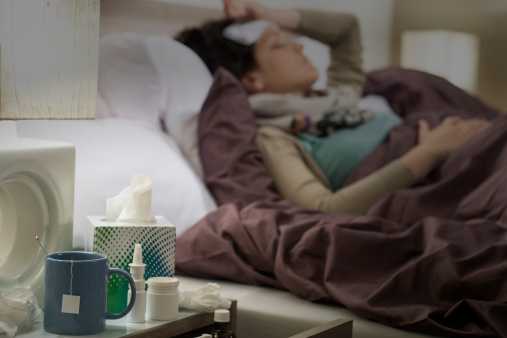 Influenza (flu) risk increases in the winter and this year’s outlook is expected to have earlier outbreaks than in previous years. Influenza is an illness caused by a virus and is highly contagious and can easily spread among family members or those who live in close quarters – for example, if a person in a nursing home has the flu, others in the nursing home can easily contract it as well. A person with the flu can be contagious up to one day prior to experiencing symptoms themselves and can remain contagious up to seven days after becoming sick. This is what makes the flu so dangerous because it can begin infecting others even before the person who has it is aware that they are infected. Throughout history there have been many records of flu pandemics – outbreaks with global reach. For example, in 1918 there was the Spanish flu, which was a dramatically quick moving strain of the flu. People would wake up feeling normal and by nighttime be dead. The Spanish flu claimed the lives of an estimated 50 million people – 675,000 in the U.S. alone. Other major flu pandemics occurred in the late 50s, late 60s and even 2009-10 with the development of the H1N1 virus. Why is flu common in the winter? Although you can contract the flu any time of the year, flu outbreaks are more common in the winter months. In tropical countries, where the temperatures don’t drop or get cold, it has been found that flu outbreaks occur more in the rainy seasons. Researchers from Virginia Tech explored why the flu is more common in the winter time. They did this by measuring the influenza A virus survival rate at various levels of humidity. Researchers found the success of the influenza A virus was highest in relative humidity close to 100 percent or below 50. In low humidity, influenza A was seen to survive well in dry conditions as respiratory droplets evaporated completely. In moderate humidity, droplets only evaporated partially, exposing the virus to higher levels of chemicals, which compromise the virus’ ability to infect other cells. Other possible factors that increase the flu outbreak in the colder weather are children heading back to school, individuals spending more time indoors and lower light levels, which affect the body’s immune system. Based on their findings, researchers suspect humidity plays a large role in the spread of the flu. The flu is highly unpredictable, so it is difficult to track what will happen during the 2015-16 season. The influenza virus has the ability to change; therefore, tracking when an outbreak will occur is also difficult because you cannot predict when the virus will develop or how long it will last for. A typical flu season starts around October and can last all the way into May. These are typically cooler months, so the flu virus can thrive in such conditions. It is important to know when the flu season occurs and that getting vaccinated can help reduce your risk of catching the flu. The flu is caused by the influenza virus. There are many different strains of the influenza virus including type A, type B or type C – all three types are spread the same way. Transmission of the flu can occur through shaking an infected person’s hand, touching an infected object or having someone infected cough or sneeze near you. 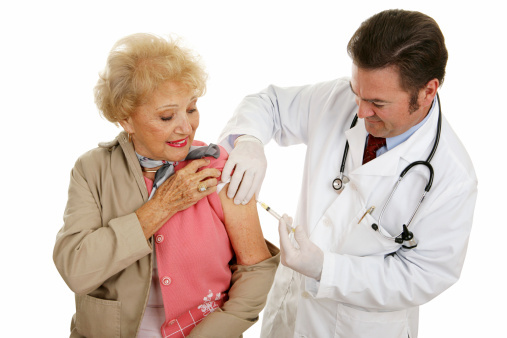 Type A influenza is the most serious form of the flu and leads to the most severe illness. Type A influenza originated from wild birds, poultry and swine, which is why there are some strands referred to as the bird flu or swine flu. Type B influenza is active throughout the year and, unlike type A, does not have sub-strands. Type B influenza is a much milder version of type A and is the strand most commonly found in the flu shot. Lastly, type C is the least common type of the flu and has even milder symptoms than type A and type B. Type C is not included in the yearly flu shot. Practice good hygiene – always wash your hands, cover your mouth when coughing and your nose when sneezing, and use alcohol-based hand sanitizer. If you’re sick, stay home to avoid getting others sick. Treatment for the flu usually involves lots of rest, staying hydrated and letting the illness take its course. In some cases, your doctor may prescribe antiviral medications that, if taken in the early stages, can reduce recovery time. If you utilize preventative measures, you increase your chance of making it through the flu season without actually catching the flu.